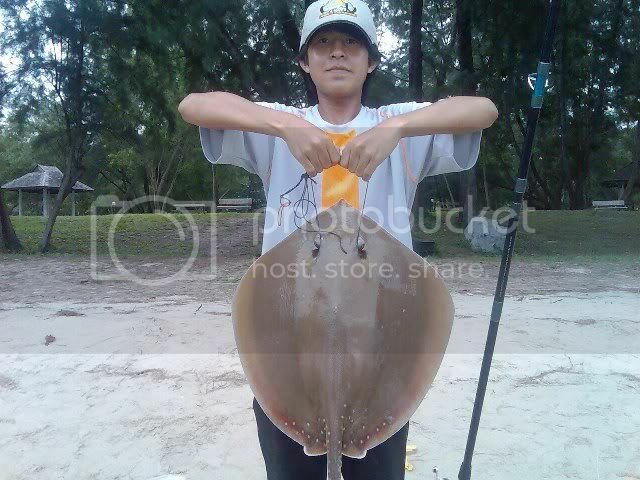 Today CR seems to be outstanding year in the Singapore Surf Anglerz team history as Yan brought up the biggest size stingray weighing at 8kg. Ladyluck was on Yan who was presented a belated birthday present at around 4.30pm where the tide is receding. The fight lasted around 10mins to tame the female stingray. Congratulation Yan on your Catch Report and holding the heaviest record size in the Singapore Surf Anglerz records.